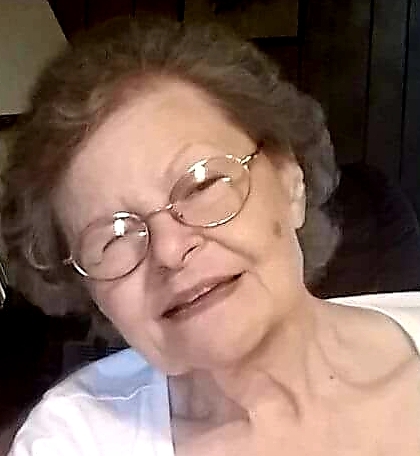 Carol Dean (Goodwin) Roberts at the age of 81, went peacefully to be with the Lord on September 4, 2018 at NHC of Sparta. Carol was born on May 18, 1937 in Sparta, Tennessee to Dovie (Lefever) Goodwin and Sydney Goodwin. Carol was a dedicated Christian and a member of East Sparta Church of God. Also inspirational to many, loved her family, her husband of 63 years Buddy, children Denise and Jason and the many children that call her Nana Carol. Her enjoyments were going to church, singing Gods praises and studying Gods word. Her Hobbies were crocheting, tending to her many plants and flowers. Canning and freezing the bounty of vegetables from the garden. It didn’t matter day or night when you called her she was already praying for you. Carol is survived by her loving husband of 63 years, James (Buddy) Roberts; son, Jason Roberts; daughter, Denise Roberts; 6 grandchildren, Samantha, James, Abbie, Stephine, Melissa, Nikeeta; 3 great grandchildren, Katie, Alex, and Ricky Bruce. She is preceded in death by her parents; sister, Minnie Bell (Goodwin) Lull; brother, Lonnie Goodwin. Family will accept visitors on Monday, September 10, 2018 at East Sparta Church of God from 1:00 PM till time of service 4:30 PM. Service will begin at 4:30 PM. Monday, September 10, 2018 at East Sparta Church of God. Internment at Saylors Cemetery.